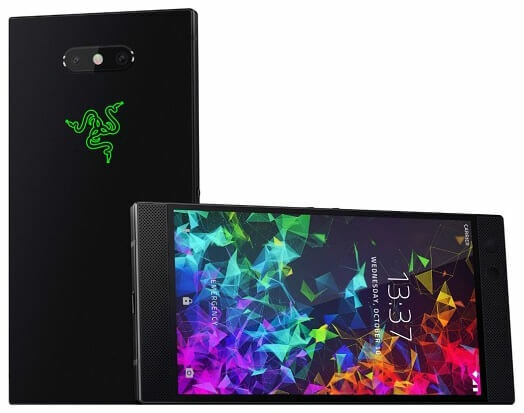 The Razer Phone 2 render recently surfaced online, revealing that it will be geared with an almost identical design to the first Razer Phone. Ahead of its official launch, Evan Blass – a well-known smartphone tipster – has leaked the alleged render of the Razer Phone 2. If this was legit, then, the upcoming gaming smartphone will share almost the same appearance with its predecessor. However, it now comes with a new dual rear camera design, where its LED flash is placed in the middle of its sensors. Moreover, compared with the original Razer Phone, Blass claimed that the Razer Phone 2 will now feature an LED illuminated logo on the back. See Also: Xiaomi's Blackshark Gaming Smartphone Leaked; 18:9 Display, Snapdragon 845 and 8GB RAM? In case you missed it, the Razer Phone is equipped with 120Hz 5.7-inch 1440p IGZO display, Snapdragon 835 processor, Adreno 540 GPU, and 8GB of RAM. The Razer Phone 2 is expected to take its spotlight on October 10. So, stay tuned!